Leah thought that the turmoil in her life had come to an end. That is, until the boy-next-door who’s just moved in, turns out to be none other than her old childhood best friend, Damon. Rekindling their friendship, the two become inseparable and life seems perfect until Leah learns a tragic secret; Damon is terminally ill and has only one more year to live. I am going to be brutally honest here, The Bucket List is a tear jerker and will make you ugly cry the entire book. I was sitting outside, watching my kids play in my backyard, and I was sobbing like a baby. I had to put my Kindle down and take a break from reading it because of how intense the latter half of the book is. I just couldn’t handle reading it during key points of the book. I thought Leah was an amazing friend to Damon at the beginning and a phenomenal girlfriend when things went downhill. 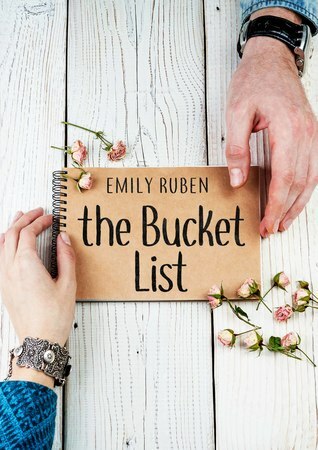 Instead of running away when he told her that he was terminally ill or pretending that he was going to get better (like his girlfriend did), she decided to make a bucket list and tell him about it. Which, in turn, inspired him to make his own bucket list and make Leah do it with him. That was actually the easiest part of the book to read. The rest, well it was a sobfest for me because, well, it struck a nerve. See, my brother died in 2008 from a terminal illness and the whole book, I thought of him. Which made this book even more painful for me to read this book. I thought Damon handled his illness with grace (I know sounds weird). He had come to terms with his life ending in a year but he wasn’t afraid to do his bucket list with Leah or fall deeply in love. Even towards the end, he didn’t lash out or ask why. He was the strong one and omg, here I go tearing up again. I couldn’t even imagine being in his shoes. Like I said, I was in Leah’s shoes but I couldn’t even imagine being told that you have 1 year to live. So, I was beyond happy when he grabbed life by its horns and decided to do the things he put on his bucket list with Leah. The love between Leah and Damon was probably the most heart-wrenching things that I have read. If you want to know the details read the book. All I will say about their love story is that to love someone that deeply and then to lose them is awful. The end of the book was the hardest for me to read and that letter….omg. Like I said in my first paragraph, I was ugly crying while reading the ending. Why: A tear-jerker of a book that will pull on your heartstrings. You will get attached to Leah and Damon and you will cry, so read with tissues.